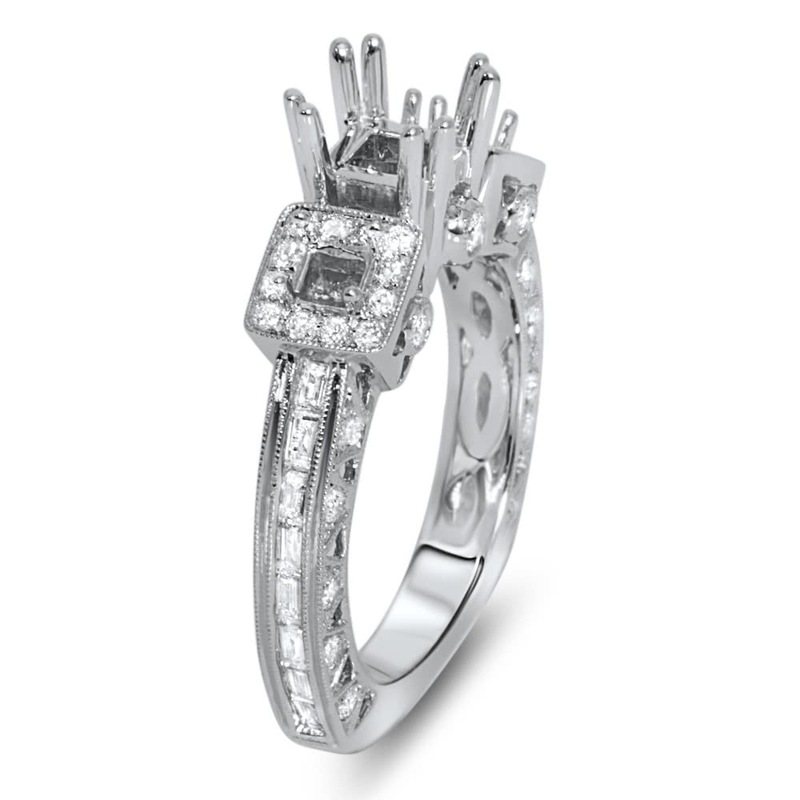 18k white gold engagement ring is a past, present, future design with halos. 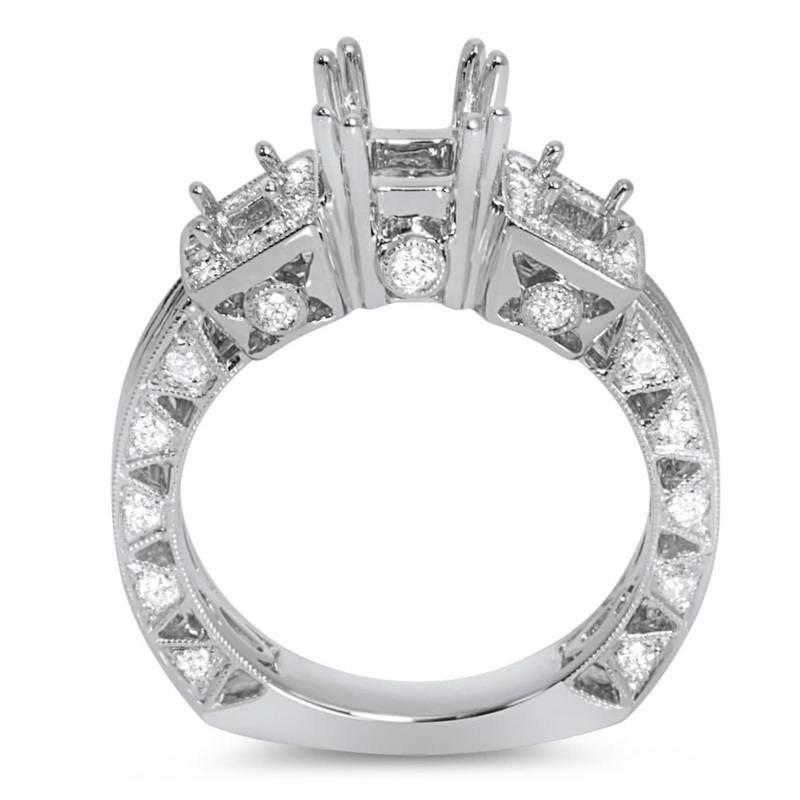 The side stones are custom cut baguettes and round diamonds framed in milgrain. 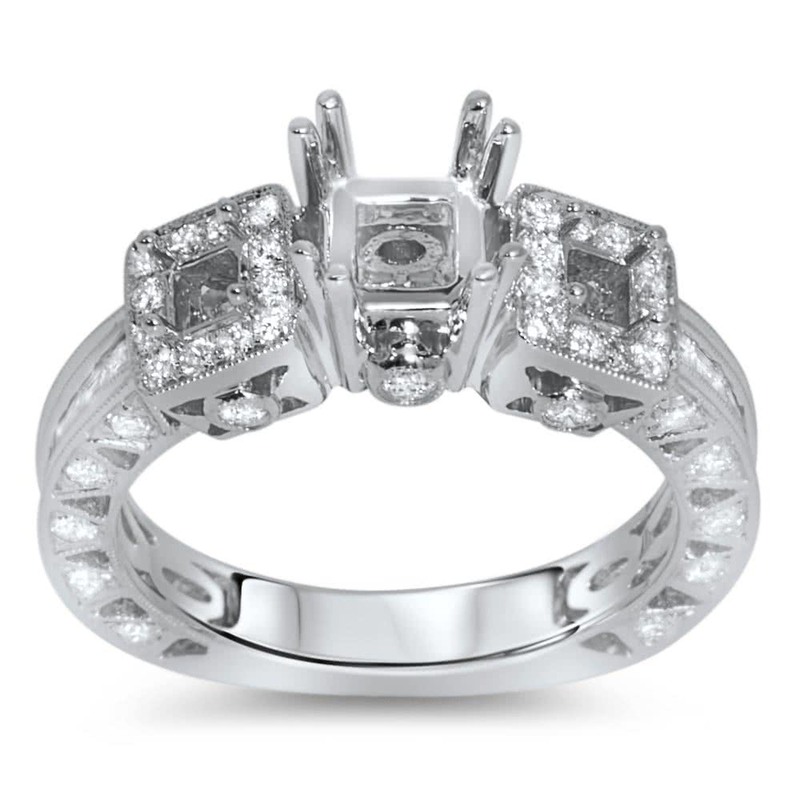 This ring will accommodate a round cut diamond.